Seoul's defence ministry on Monday offered rare talks with the North at the Panmunjom truce village on the heavily militarised inter-Korean border. President Moon Jae-In favours greater engagement with Pyongyang. Seoul, South Korea: North Korea has not responded to South Korea's offer to hold military talks Friday, Seoul said, dimming prospects of any ease in tensions after Pyongyang tested its first intercontinental ballistic missile. "There has been no response yet," defence ministry spokesman Moon Sang-Gyun told journalists, adding that preparations were still underway in case the proposed meeting goes ahead. If the government meeting goes ahead, it will mark the first official inter-Korea talks since December 2015. Moon's conservative predecessor Park Geun-Hye had refused to engage in substantive dialogue with Pyongyang unless it made a firm commitment to denuclearisation. "There is no deadline," by which Pyongyang has to respond, a South Korea unification ministry official told Yonhap news agency. The South's Red Cross earlier said it hoped for "a positive response" from its counterpart in the North in hopes of holding family reunions in early October. If realised, they would be the first for two years. 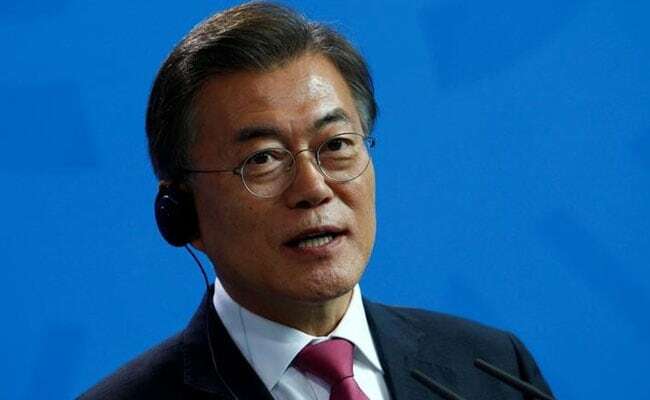 Moon, who took power in May, has advocated dialogue with the nuclear-armed North to bring it to the negotiating table and vowed to play a more active role in global efforts to tame the South's unpredictable neighbour. But Pyongyang has staged a series of missile launches in violation of UN resolutions most recently on July 4 when it test-fired its first ICBM, a move which triggered global alarm and a push by US President Donald Trump to impose harsher UN sanctions.